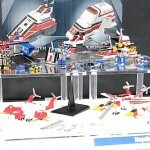 Cosmic Fleet Collection Extra Ranger Mechanix Set 2 will feature the Goranger�s Variblune and Varidorin, Liveman�s Machine Buffalo, Goggle V�s Goggle Ceaser, Sun Vulcan�s Jaguar Vulcan, Denjiman�s Denji Tiger and miniature in scale representations of the team�s robos. That's pretty darn cool. 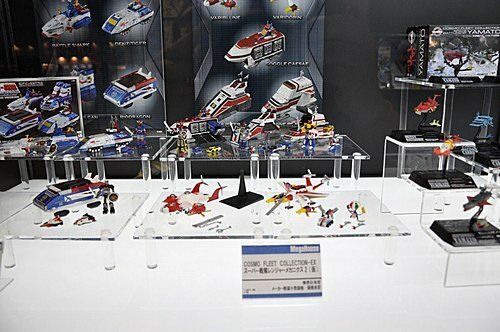 Now if only they would do collections of the DX robos and shrink them down (gattai's included please). 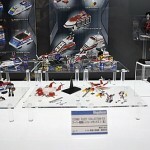 Still waiting on a Dx Variblune that snaps onto Gokai-Oh. They're small but I've been really interested in at least picking up Battle Fever Robo and Battle Shark for a while. 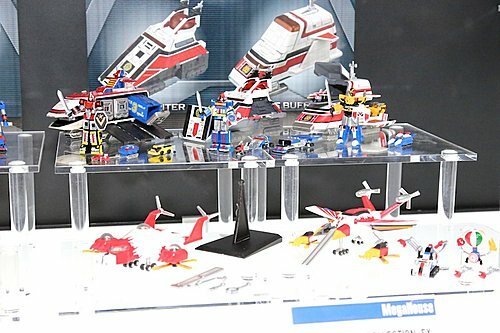 Might be getting Buffalo and Live Robo now. Come to think of it, most of the Sentai in the 80's had a battleship to haul their mecha. Ahh.... nostalgia. If these weren't so small I'd be all over the Variblune and Machine Buffalo. Especially the latter. Huh, I had not seen those before. Cool! So he gets a lot of the little Godzilla dioramas and Ultraman dioramas; I have at least 50 of them. He knows that I don't have a lot of space so he doesn't get me the big items. So little stuff like this might be something he'd get me for Christmas.